Good teachers are like the sugar in our milk. We taste their presence, but never see them. The importance of a good teacher at tertiary level (university) is almost certainly with foundational courses of a discipline because foundational courses lay the seeds for the learner to be inquisitive. In economics the foundational courses are microeconomics and macroeconomics, but more so the former because a lot of the development of economics as a discipline has been the development of microeconomics. Finding gifted microeconomics teachers in an economics undergraduate programme requires some luck. 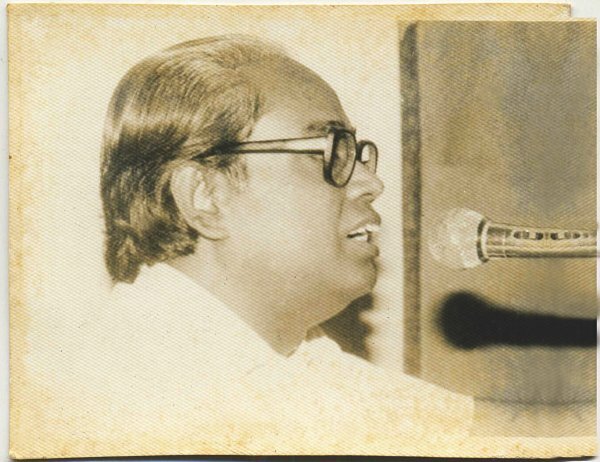 At Jahangirnagar University, our class of 1987 HSC was lucky to have had certainly one of the finest microeconomics teachers of Bangladesh at the time- The Late Mirza Mozammel Huq (1941- Sep 2, 1994)- Mirza Sir as his students fondly addressed him. We were double lucky to have had Mirza Sir teach us microeconomics in the first year and the final year of the undergraduate. A foundation course is critical because it is where you either grow or lose interest totally. The role of the teacher is crucial. We were fortunate. Mirza Sir's classes were out of the ordinary. They would start on the dot. After taking attendance, Sir would spend 5 to 7 minutes reviewing the previous class and then start his lecture. Sir had a perfect body clock. Almost 5 to 7 minutes before the end of a class, his lecture would finish and he would sum up the day's lecture in those final few minutes. We cannot recall him missing classes where at least 50 classes was the norm. This was also the norm throughout his life. Mirza Sir had an exceptional ability to address the foundations of microeconomics and show how the mind of an economic theorist operates. His real skill was his ability to make a class enjoyable. Everybody would listen spellbound in pin drop silence. Mirza Sir also knew how to tickle the intellect of those who wanted to break the walls and the roof of the claustrophobic classroom to embark on a journey into economic theory with no fear of the unknown. Mirza Sir would greet everybody with a heavenly smile that signalled the heart of a pure soul. He was one of the most humble persons one could come across. There was no way of telling that this very man was a master wizard in the classroom shaping the minds of the future. He was also a very caring husband and a very good Father to his two daughters and one son. While studying in the United Kingdom, Mirza Sir's fate changed. It was 1971. Like many of his generation, he soon found himself getting involved in the Liberation War. President Justice Abu Sayeed Chowdhury fondly recalled Mirza Sir's contribution in the UK during the Liberation War in his memoirs. Surprisingly- Mirza Sir never took credit for what he did for the nation in 1971. Like the sugar in the milk, he remained invisible. For me, Mirza Sir is the supreme teacher. It was his class that inspired me to take up teaching as a profession that became my obsession and passion. Napoleon once said, “Give me a good mother and I'll give you a better nation”. In a society that is becoming increasingly materialistic, we need teachers like Mirza Sir. If you want a good nation- you need a good mother and also a good teacher. Recalling my most favourite teacher, Mirza Sir on his death anniversary. In his lifetime I never had the opportunity to thank Sir because I took it for granted that he is the sugar in our milk. That sugar left an everlasting after taste making me thirsty to want to drink more and more from the well of wisdom. Salaam Guru Ji, RIP!